Write out any, and I mean any, meaningful end-to-end scenario in detail with concrete values at every step. Now that you’ve chosen one real scenario, contract the scenario: go to each step in that scenario and ask the question, “What would I need to assume to eliminate this step?” If you find those assumptions make the scenario easier to implement, even if it makes the scenario harder to use, then use that assumption to simplify the scenario. (Don’t panic.) Repeat until exhausted. Now you have reached the kernel of the feature. Plan to build this first. Now that you’ve found the kernel, expand it: pick one of your useful, variable, helpful variations and write a scenario that adds that variation to the kernel. Avoid building variations on top of each other, and instead favor building variations directly onto the kernel. This will not always be possible, but do your best: dependent chains of tasks create bottlenecks, so aim for scenarios that you can build independently of each other. The more you do this, the more you increase your options to deliver something sooner, thereby simplifying planning and increasing Cash In Your Pocket SoonerSM. Based on the names of steps 2 and 3, I call this technique “Contract, then Expand”. It simultaneously helps the project community build a precise, shared understanding of the features and maximizes options for planning the work. By slicing stories or features in this way, I can use any value-hunting strategy appropriate for the situation: focus on new markets, exploit existing markets, elevate marketing risks, elevate technical risks, whatever. Once we build the kernel, we can do the rest in any sequence. Cash In My Pocket Sooner. I’ve used the example of online bill payment in many of my classes and applied this technique. You’d be surprised how simple, but useful a bill payments system one can build. In fact, let’s look at this example in a bit more detail. First, select the “Pay Bills” option. Next, select the account to use to pay the bill. Next, select the bills you’d like to pay. Once in a while, I want to pay multiple bills at once, such as when my business has to pay the property taxes on a handful of rental properties. Next, enter the amount you want to pay, the date on which to pay it, the account from which to pay it (why again?) and whether you want to repeat this payment automatically. 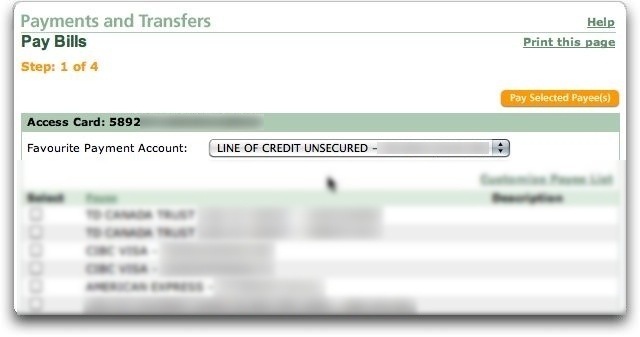 Verify the payment details: the amount, the account, the creditor, the date, and the system schedules the payment. Apart from the numbers, this scenario perfectly accurately reflects how I pay my bills online, although I only wish TD Canada Trust would send me the confirmation email I threw in as the system’s response. We have completed step 1 of the technique: we have specified a complete scenario with concrete values at every step. You’ll notice that we didn’t specify Joe’s username and password. We don’t intend to re-test logging in here, so we don’t bother with those details. We will have tested that elsewhere. Now we move to step 2 of the technique: looking for assumptions we could make about paying a bill online that would eliminate steps in the process. To do this, we have to be prepared to sacrifice any semblance of a decent user experience. Don’t worry: once the Walking Skeleton runs, you’ll be able to add all the bells and whistles that will make this feature a pleasure to use. For now, we want to eliminate any detail that distracts us1 from connecting our feature to the key interfaces it must deal with. 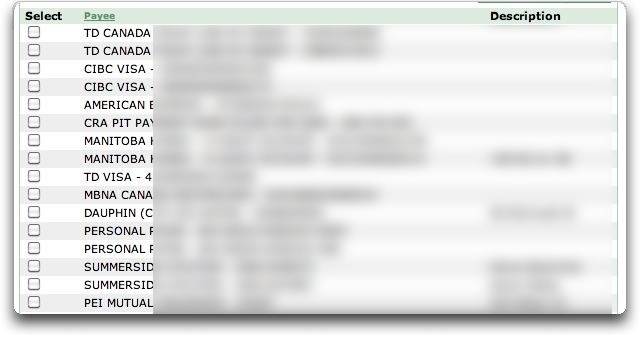 In this example, I know I want to expose an HTTP interface to clients (eventually the web) and that I need to connect to the Big Ugly Banking System, but beyond that, I don’t know that anything else matters. Within this context, then, we can start making our simplifying assumptions. That is, until someone remembers that, being a bank, we need to keep a strictly accurate record of all transactions. That means we should add a final step to the scenario: the system records the transaction in its log. While some might consider this a superfluous detail, banking regulators would call it quite essential, and so I find it hard to ignore. This means that we have a third essential interface to which to connect: the transaction logging facility. For our purposes, I’ll assume that we have one and that it has the usual properties: transaction posting date, description, and debit or credit amount, who performed the transaction and when. This itself makes me ask whether we need to log the transaction yet, because in our scenario we’ve scheduled a payment, and not made one. Scheduling a transaction leads to issues of canceling, editing, and building a process that completes the transaction on the day the customer scheduled it. This leads to our first simplifying assumption: Joe pays the bill immediately. 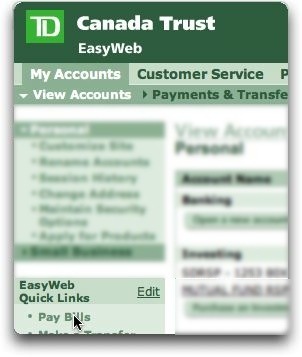 Notice that “I want to pay from account 12345” works for both user interface designs. It works if the system presents a list of accounts to choose from and it works if the system presents a text field and forces Joe to enter “12345”. Good! Simplifying the scenario has led to describing the essential interaction without unnecessary details, like how exactly the user will provide that information. We are free to change implementations of this step without changing the scenario, meaning less cost to maintain the automated test for this scenario, if we choose to write one. Next, I see that Joe again has to select the bill to pay, which implies that the system presents a list of bills to pay. We could simplify this by requiring Joe to enter the payee identification number and the account number, even though this means saddling Joe with knowledge of payee identification numbers. In particular, the system neither has to store nor present a list of bill payees, and Joe doesn’t need to register a creditor before paying them. I’m making up this notion of payee identification numbers because I don’t know how banks really implement this. I imagine whatever they do, it boils down to companies registering as payees for bill payments, which results in issuing them some kind of identification number. If some kind soul wants to educate me on how this really works, I’d gladly edit the article to bring it closer to the banking industry’s real implementation. Next, I notice that Joe has to specify the amount to pay, and I can’t think of how to eliminate that detail without complicating matters. It does make me think about potential future features, such as “pay balance off in full” and “pay minimum payment required”, which I note down before returning to this scenario. Joe will simply have to tell us exactly how much to pay towards the bill. You could imagine a button that says “pay 1 cent”, forcing me to press it 500,000 times in order to pay $5,000. I’m not sure that this is easier to implement than parsing a text field, so I’m not going to go there. At a minimum, I’m not volunteering to go there. You’d have to pay me on awful lot to build it. I can’t see any further simplifications, so I choose to stop here. I suspect this constitutes a close-to-minimal protocol for the “pay a bill online” feature. The programmer in me sees this as a single message (see “Injecting Dependencies, Partially Applying Functions, and It Really Doesn’t Matter” for how this makes it easier to test and design a solution for it), which pleases me, because of the simplicity of the interaction. The customer in me can see clearly all the extra stories we need to complete to make this feature available for public use, which makes planning easier. (I’ve even written those down as I went along.) It feels like a win for everyone, except perhaps for Joe, who has a crappy interface to work with. No, we’re not going to ship this user interface to production, but we might ship it to internal stakeholders who might feel good seeing a payment make it all the way to the “back end”. Even if not, at least you can drive out technical risks by running the transaction from end to end without wasting up-front time on the design. Once we have this version working, we can relatively quickly improve the user interface in a way that will pleasantly surprise our stakeholders. They might even think we’re wizards. That can’t hurt. Look At All The Great Ideas! Now that we have a Walking Skeleton bill payment feature, we can identify the stories we want to deliver beyond the simplest case, and can decide which ones we need to roll this feature out to paying customers. I imagine we could come up with more together, but I find one common thread with all these stories: once we implement the Walking Skeleton, we can implement most of these stories independently of the others. We know that having more independent stories means having greater opportunities to change priorities as needed, as well as greater opportunities to drop features in favor of other more lucrative options. Once again, everyone wins. Contract the scenario until we reach the kernel. Expand the scenario by adding back valuable variations in any sequence we like. We didn’t expand here, but rather described a bunch of potential “expansions”. They form an inbox for future sessions exploring the feature. We can write scenarios for them all… later. I don’t like “Given that Joe has already logged in”. This refers to an implementation detail that adds nothing to the scenario and, on the contrary, distracts us from the task at hand. Imagine giving other people authorization to pay bills on your behalf. (Power of attorney?) Or just to pay certain bills on your behalf. Imagine not needing to give that person the keys to your entire online banking presence. Wouldn’t that be nice? Nothing in this scenario requires nor prevents it. Nice, no? Moreover, this makes me think about the case of not having enough money in the account when it comes time to pay the bill. (Fine… two things.) Since this scenario merely schedules the bill payment, rather than actually paying it, handling the “insufficient funds” case belongs somewhere else. Even so, it might be nice to add a warning, “You don’t have enough funds in the account to pay this bill. Please ensure that you have $5,000 in the account by December 18, 2015 in order to avoid extra charges for insufficient funds, as well as any interest and penalties that your payee might charge you.” Wouldn’t that be nice? How about an email reminder three days before the bill payment date, but only if there doesn’t appear to be an incoming transfer that would cover the amount…. Please don’t make me start a bank.